To me, nothing looks worse than unkept chipped nails. I’ve not been overly bothered about getting my nails done properly lately like at a nail salon. I’ve just been buying stick on nails and stocking up. 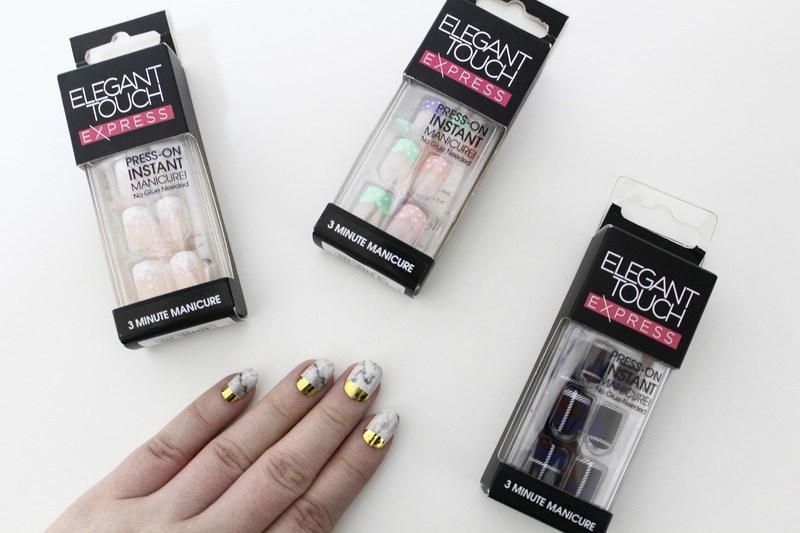 Purely because boots have had some amazing offers on and I got some of these press on nails for about £3 each, which is a bargain and a half! 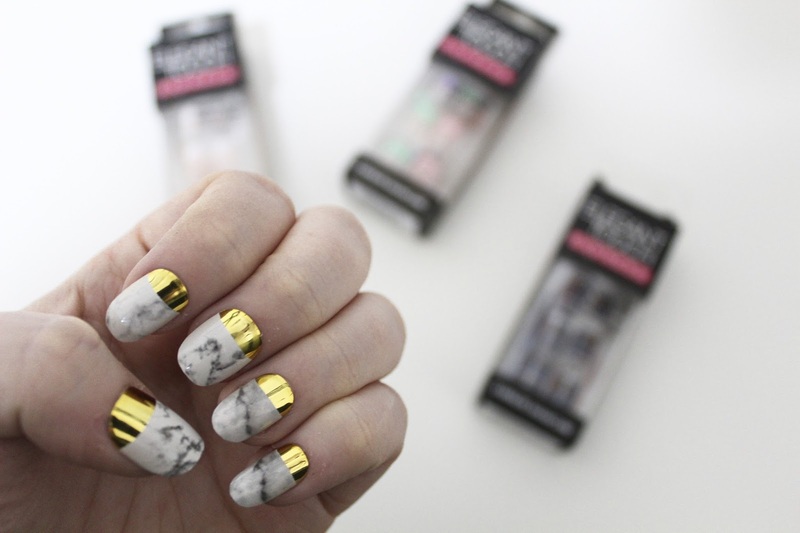 The marble nails were actually £9 but how could you not get them, look how beautiful they are. Very blogger-esque. Now, I just want to say, I do not use the glue in the boxes. Lets be honest, it’s just pants. I buy my own brush on glue from amazon. Any brush on glue is fine but it’s reusable and so much better. Plus if a nail pops off at work, which has happened a few times, you can stick it back on straight away. With these marble nails from WAH London they lasted about 2 week, only 2 came off and I glued them straight back on. Also just to point out, these were stiletto shaped but I cut and filed mine as I don’t really like that, they are too long for me like that. The press on nails can be glued on as well and it works fine. They are good but if you use your hands a lot the sticky pads won’t hold out and they go flinging all over the place. So they are perfect for kind of a night out or if you have an important meeting or a lunch date. Not a good idea to buy if you want someone to last. What’s you’re favourite nail design? Let me know in the comments below!